Every student at the Academy is grouped into a specific “Company”. This company supports the student’s journey throughout Academy life, assisting with everything from locker allocation to personal interventions in times of need. 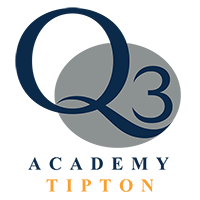 In the first instance, Q3 Langley will operate with one Personalised Learning Director who will be in charge of pastoral care for all of our students, with other members of staff representing each Company within the Academy.